The time of year between Thanksgiving and Valentine's Day is know as "Engagement Season." Lots of men choose to "pop the question" during the holidays because that's when a lot of friends and family are already gathered together to share in the special moment, and the romance surrounding Valentine's Day is simply irresistible to a romantic soul. 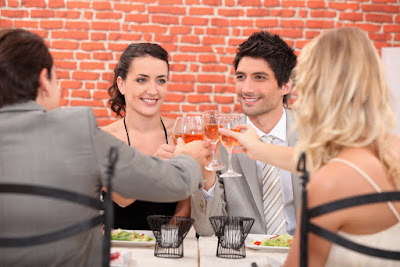 An engagement party is an excellent way to celebrate with all of your family and friends before the task of wedding planning starts. 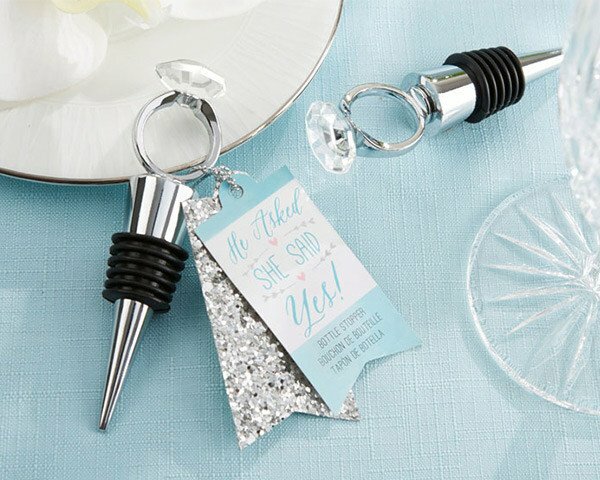 WhereBridesGo.com has some suggestions for throwing an incredible celebration. Traditionally, the bride's parents always hosted engagement parties. Today, not many people choose to stick to tradition, so it's perfectly acceptable for anyone that wants to host the party to do so. Other relatives or close friends may want to throw a celebration to officially announce your engagement. Lots of couples even decide to throw their own engagement event. If the bride and groom, as well as each of their families, are from different towns, more than one party may be needed. You will need to decide whether this is a party for only family and your closest friends, or if you want to open it up to a larger group of people. 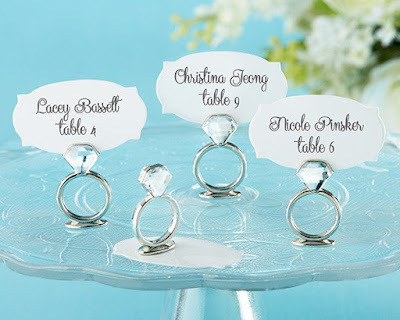 One thing to keep in mind is that you should only invite guests that will also be invited to the wedding. If this party will be the big announcement to everyone, then you will want to have it as soon after the proposal as possible. Even if everyone already knows, it's best to throw it fairly soon after getting engaged. 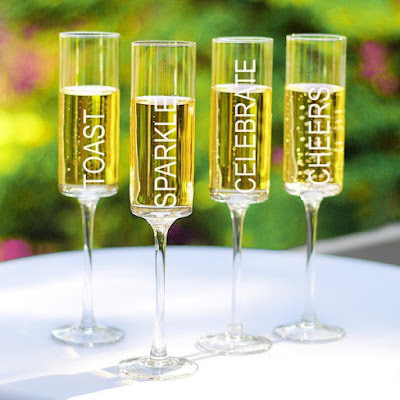 That way you can begin focusing all of your attention on wedding planning after the party. As for the venue, that will depend on how formal your party will be and the amount of people you want to invite. Also consider whether you prefer to serve a full dinner or simply hor d'oeuvres. 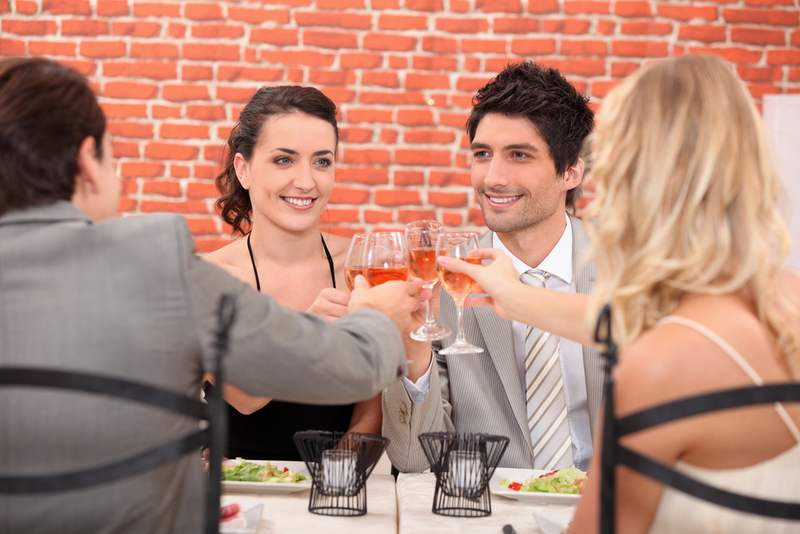 An engagement party can be a small get-together, a gigantic formal event, or anything in between. If you are having the party in a fancy restaurant, the decorations will need to be a bit more formal. On the other hand, if you choose to have the celebration in a more casual venue or even at home, your party style can be anything you like. Have some fun with it, and make sure that no matter who throws the party, the feel of the event reflects the newly engaged couple. You will want to remember every moment of this special celebration before the big day. Hiring a professional photographer will guarantee that you get lots of great photos from the engagement party. If you don't want to go that far, encourage your guests to share their pictures with you. This is a great opportunity to get some wonderful pictures to use on your wedding website. This is most definitely the type of party that requires a toast or two. The host will be expected to say a few words about the people they are honoring. The future bride and groom should say something too. If you can work the proposal story into the toast, that will save you from having to tell it over and over to each person individually. When you are ready to start shopping for engagement party decorations, toasting glasses, invitations, and more, you will find everything that you need at WhereBridesGo.com. While you are there, go ahead and take a peek at the incredible items we have for your upcoming wedding too. After all, WhereBridesGo.com is "Where brides go... for what brides love!"